c.) Blessed with an International swimwear model’s physique in order to wear any the aforementioned expensive designer fashion. 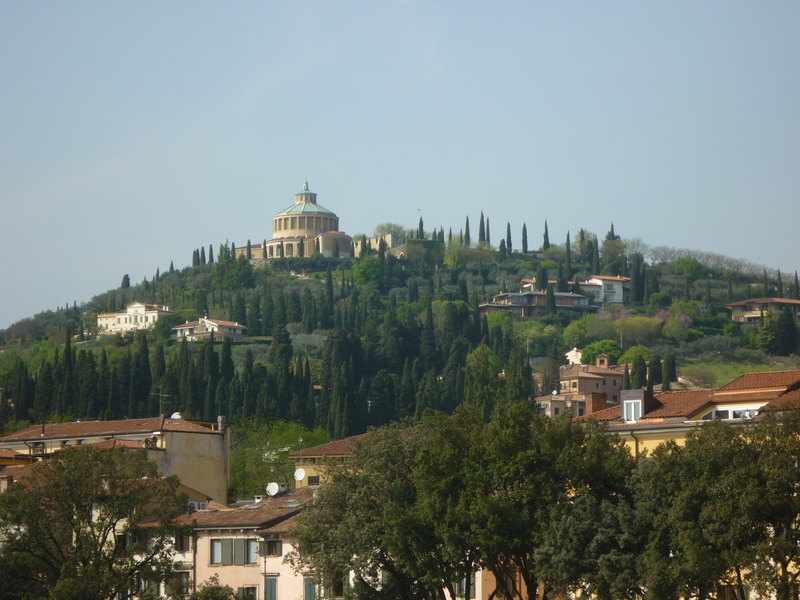 Ronnie had planned to head South, to Rome, where he would meet friends and sightsee. 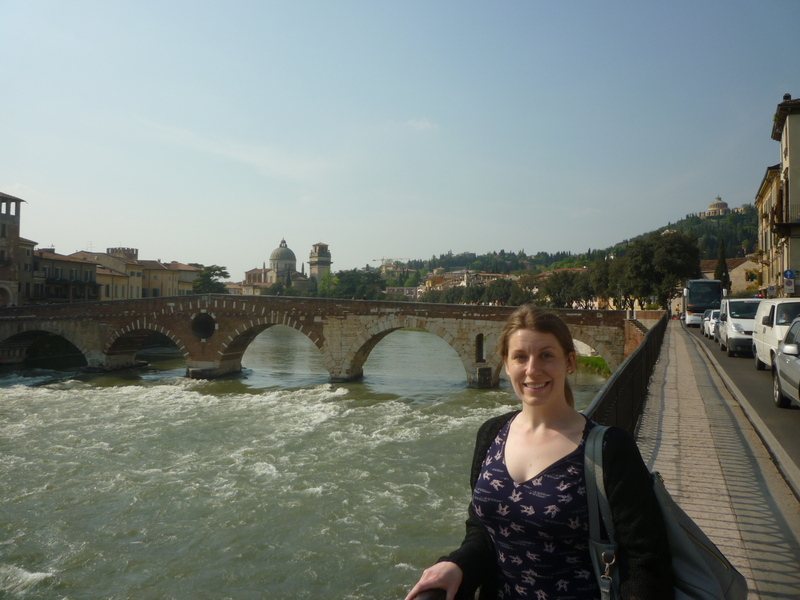 Ian and I had planned to head East, stopping in Verona, then visiting family (mine) in San Daniele, before spending a couple of nights in Venice, where we would fly home from. 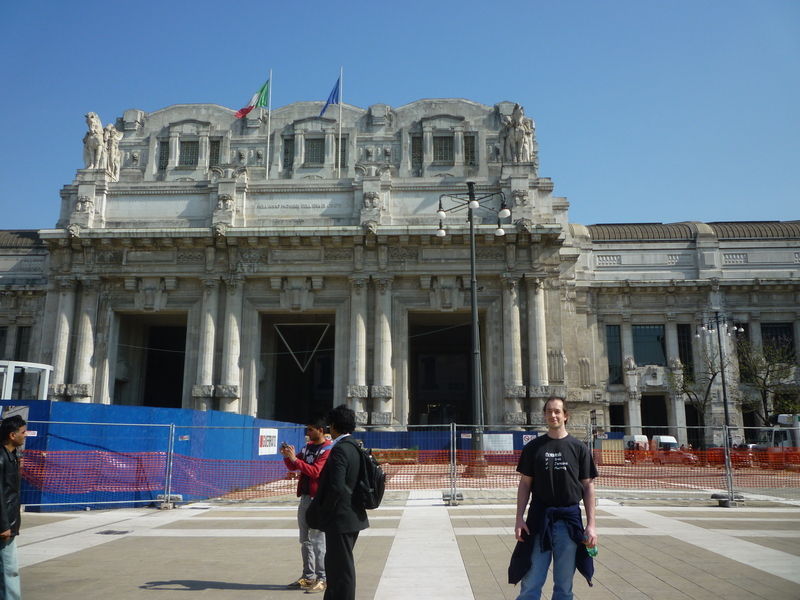 After having breakfast, showering, and stripping our room, we headed for Stazione Centrale to buy some train tickets. We ended up using the fast ticket machines, and bought the next available high-speed ticket to Verona (though the original one we had wanted to catch only had one seat left, which was frustrating). We found out which binario (platform) we’d be leaving from, and had a sandwich in one of the cafés at the station while we waited. This time, we remembered to validate our tickets before boarding the train. The journey from Milan to Verona took just under an hour and a half, and there was a left luggage room where we could dump our suitcases (6 euros per bag for up to 5 hours) at the station. We bought a cheap map from the newsagent at the station and started the short walk (15-20 minutes) to the heart of the city. 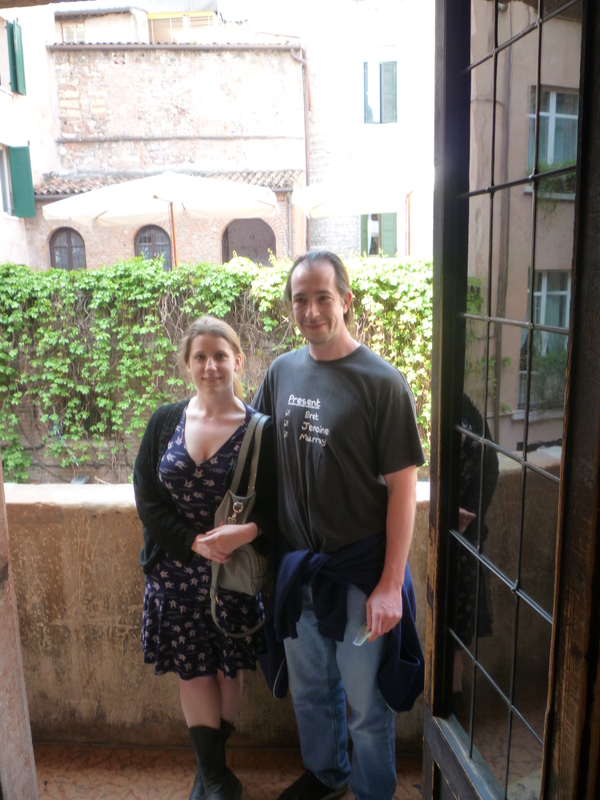 I was thrilled with the 29 degree heat and sunshine, but Ian was struggling a bit with the non-Scottish conditions. One of the first things we stumbled upon was the Roman arena. We took a couple of quick photos outside, but, as we had a train to catch in a few hours, decided we’d hit that on our way back to the station. Of course, the main thing you want to do inside the house is have your turn on the balcony. Unfortunately, there were a couple of princesses in the queue in front of us enjoying the adoration of the crowds below a little too much, and some of the women were getting antsy having to hang about. So when I finally got my turn, I tried to keep it as brief as possible, which meant turning down Ian’s offer of a sentimental kiss on the balcony, which made him grumpy for the next couple of hours. 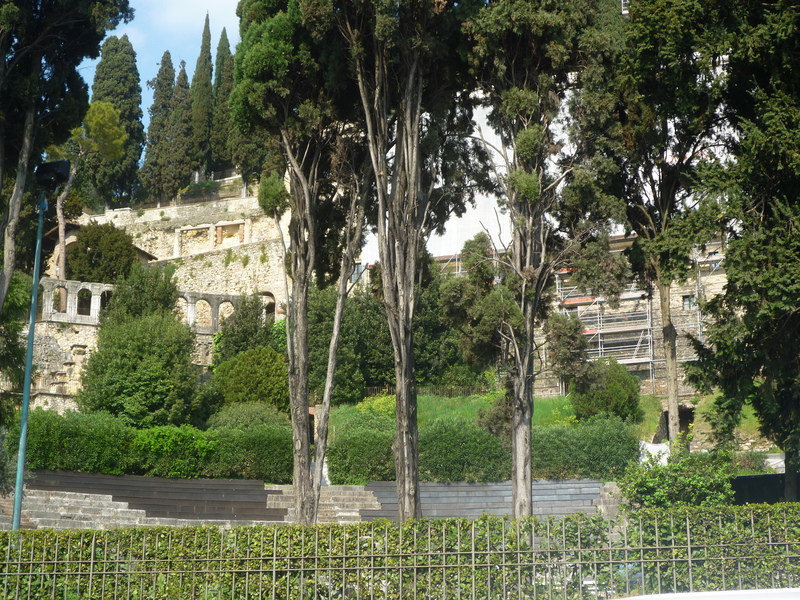 Once we had escaped the courtyard, we started towards the place furthest away from the train station – some Roman ruins. This involved crossing a bridge, but as we got closer, we realized that nobody was walking amongst the ruins, and there was an awful lot of scaffolding around the entrance. It became clear that they were renovating, and that we wouldn’t be able to go inside, which was a bit of a bummer. 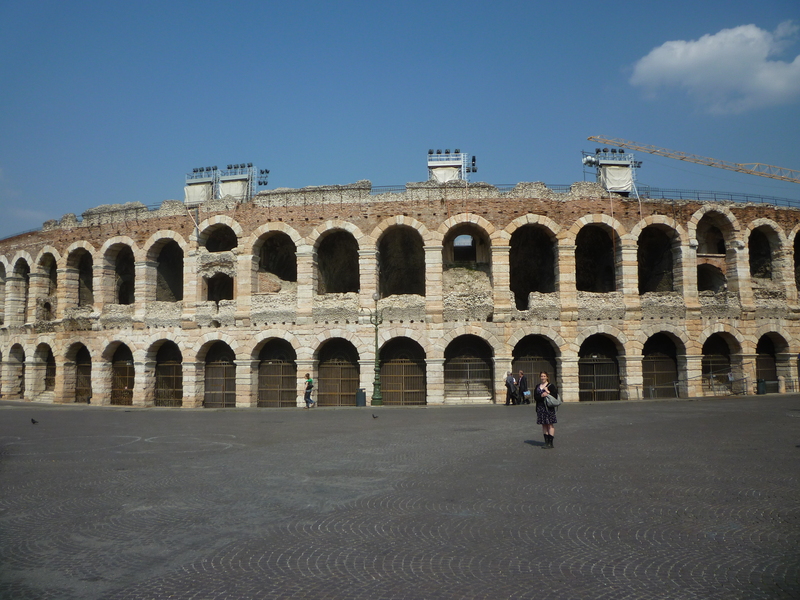 And so we turned back, as our time in Verona was running out. 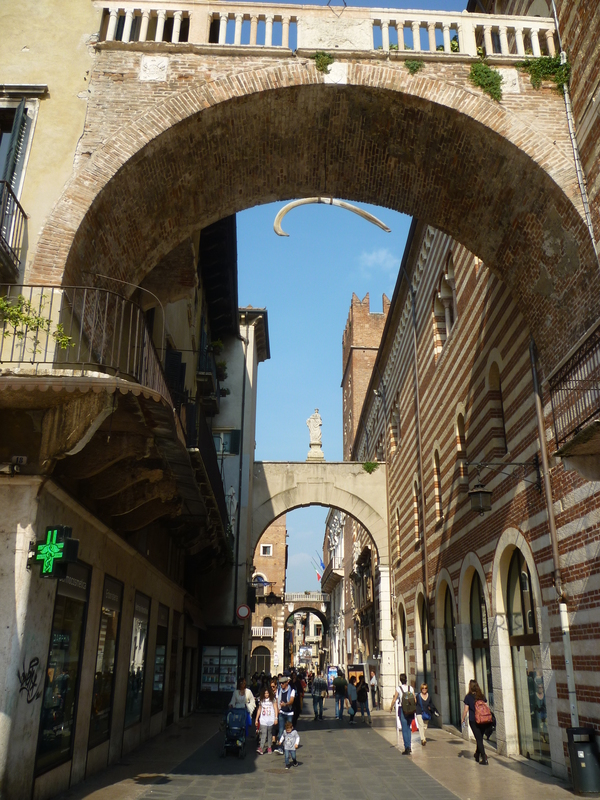 We walked through one of the piazzas (squares) and discovered the bone hanging under an archway. Ian had read that it had been there for ages, and that there is a legend that it will fall on the first person to walk underneath it that has never told a lie. Ian and I both tried it out. Looks like we’re both dirty liars. 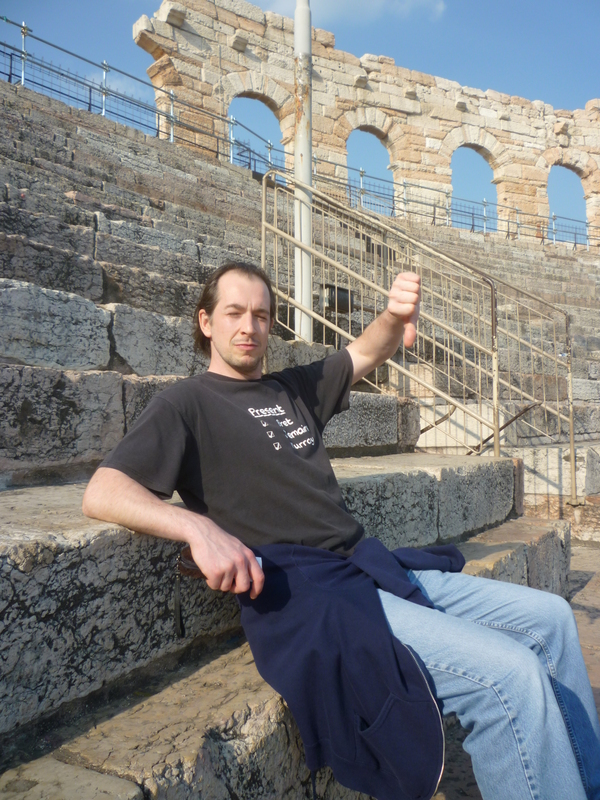 We had just enough time on our way to the station to check out the Arena, which is still used today for performances, and so is full of modern seating and a stage. 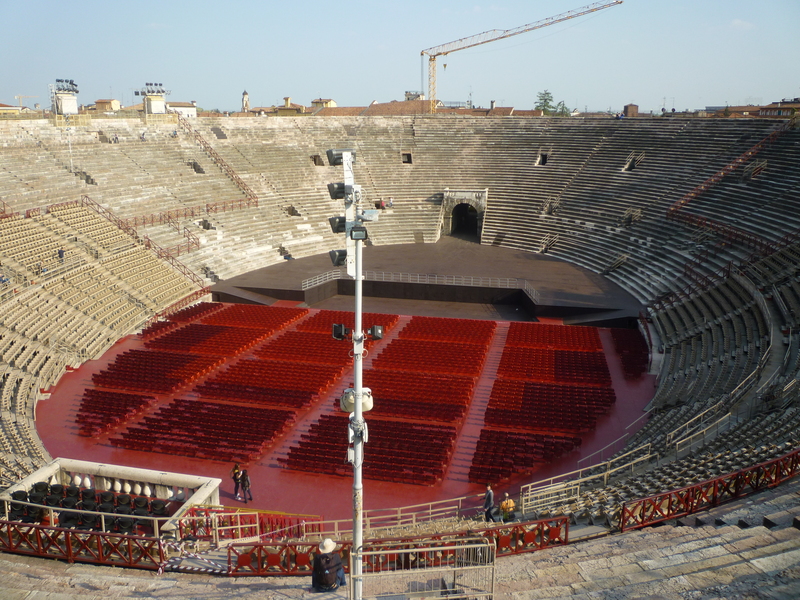 And in just a few hours, our Verona experience was over. We found ourselves on another train, this time bound for Venezia Mestra, and later, another train, terminating in the small station in Udine. In Udine, we were picked up by Franco and Myrna, who kindly drove us to my great aunt Rina’s house in San Daniele, where we enjoyed some traditional Italian grub (delicious), a beer, and some conversation about family history. Rina is the sister of my late grandfather, Sergio, and recently turned 80. She has lived in San Daniele all her life. Rina doesn’t speak English, so I immediately became Raquelle, and Ian became Giovanni (I did warn Ian that this would happen). These were our names for the duration of our stay. Now, while I understood about 50%+ of what she was saying thanks to being able to speak Spanish reasonably competently, I found it nearly impossible to find the words to answer her back. Thankfully, both Franco and Myrna were there to translate until eventually, after a long day, it was time to go to bed. 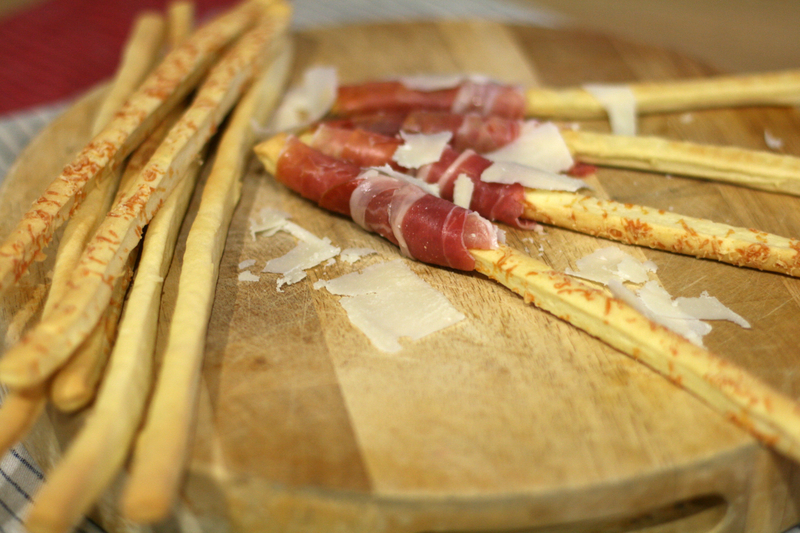 We quickly made plans for the following day, and said our goodnights, before retiring to our Bed and Breakfast (paid for entirely by Rina, because we were her guests, and it is the Italian way – NO NEGOTIATION!). 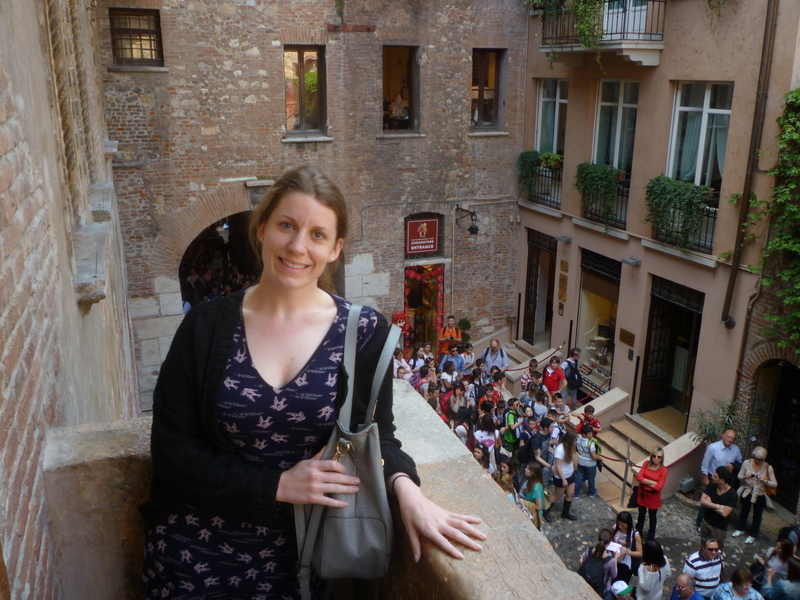 This entry was posted in Family, Travel and tagged Italy by train, La balconata di Giulietta, La Casa di Giulietta, milan, San Daniele, Verona, Verona Arena by MedalSlut. Bookmark the permalink.